Whether you reside in the “Mile High City” or are simply there for a visit, everyone can agree that it’s a beautiful city. Surrounded by mountains and lush forests, people are always eager to take advantage of the outdoors. It would be a crime to not to do so, especially at the public parks in Denver such as Washington Park, many of which have tennis courts. What better way to enjoy a tennis lesson than with a mountain range as your backdrop. 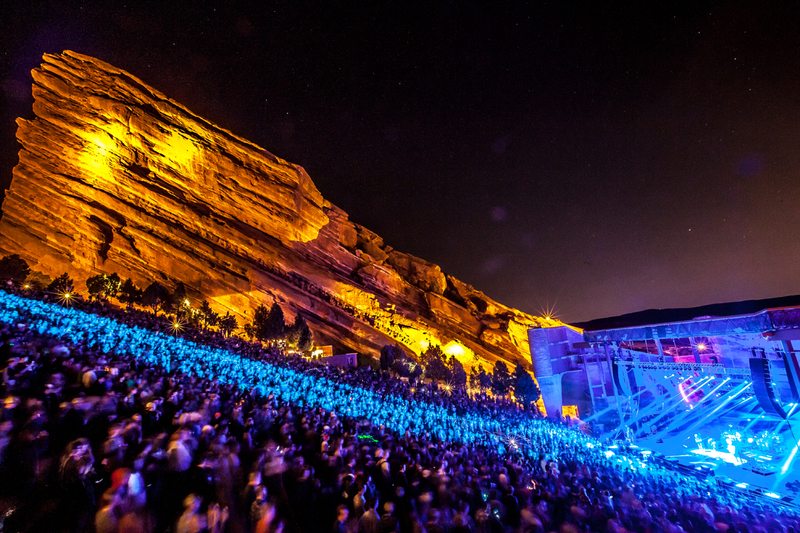 Though you can’t play tennis here, we’ll forgive if you explore Red Rocks Park and it’s famous Amphitheater. What better way to wind down after a tennis lesson than enjoying some music, or even just the sights, at a venue that looks like this. Even though Denver is mostly known for killer moguls and shredding the fresh snow with reckless abandon, if you’re looking to stay on your feet with the same intensity, take a tennis lesson with MyTennisLessons. We offer lessons to people who are looking to win their tennis league as well as for those who are just picking up a racquet and taking a tennis lesson for the first time. In those months when you can’t get some air on the Colorado slopes, visit MyTennisLessons, find a tennis instructor and take some tennis lessons! It’s that easy. If you are looking for a lesson in a city in the area surrounding Denver, review the surrounding locations to see who offers lessons nearest you. When booking directly on the coaches profile, you can also specify the specific location and time you would like to take your tennis lesson. Once you book a lesson package with MyTennisLessons you tennis coach will be in contact with you within 24 hours to introduce themselves and confirm your first lesson.